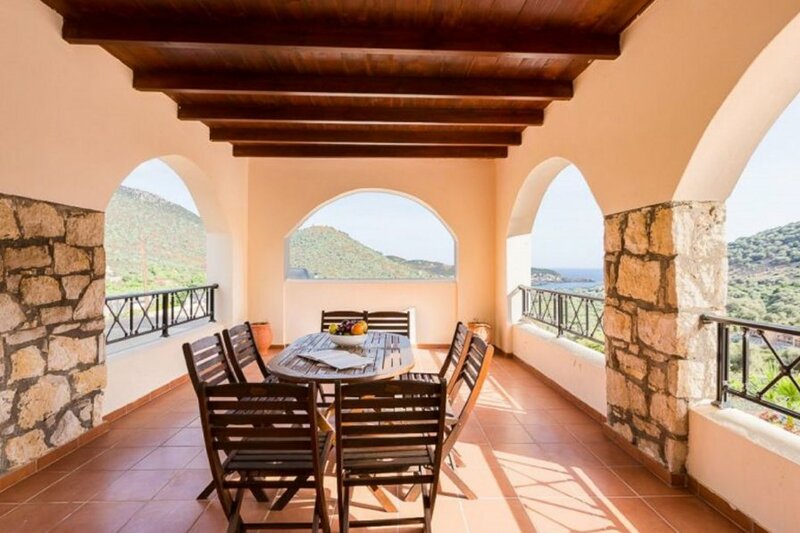 This 4-bedroom villa for up to 8 guests is located in Rethymnon and has a private swimming pool. Beautiful, comfortable villa Villa Fos, 3 storeys, semi-detached, built in 2011. 4 km from the centre of Bali, in a quiet, sunny position on top of a hill, 2.6 km from the beach. Private: beautiful, well-kept garden 130 m2 with flowers and trees, lawn for sunbathing, swimming pool angular (20 m2, depth 60 - 170 cm, 15.03.-30.11.). Barbecue. Linen change 2 times per week. Towel change 2 times per week. Room cleaning 2 times per week. Parking (for 2 cars) at the house. Grocery 4 km, supermarket 4 km, restaurant 4 km, bar 4 km, bakery 4 km, cafe 4 km, sandy beach Livadi 2.6 km. Nearby attractions: Museum of Ancient Eleftherna 35 km, El Greco Museum 24 km, Arkadi Monastery 33 km, Ideon Andron (Zeus Cave) 58 km, Melidoni Cave 23 km. Well-known lakes can easily be reached: Kournas 58 km. Please note: car recommended. Suitable for families, baby equipment on request (included). Groups of teenagers on request only.